I think I am in love. Shh. Don't tell my hubby. But I am in love enough with these facial care products that I recently "broke up" with the serum and night cream I had been using that I believed were irreplaceable. These products are that good. I have been using the same facial products since May. They are quite lovely. And they worked pretty well for me. Also back in May, I received a package from Decleor. It was full of luxurious looking products, but I never opened them until about 5 weeks ago because my skin was just fine. It happens each fall -- when the air temps drop and the humidity falls, my skin becomes dry. That is when I remembered that I had just packed the items from Decleor in a moving box (eek, 10 more days till the big day is FINALLY here). I took out the products and am completely blown away with the quality and the results. I have not used the BB Cream or the Rose serum yet, but I will unpack those soon and try them out and get back to you with my thoughts. 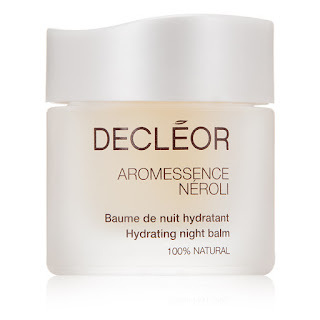 What I have been using religiously -- Aromessence Neroli Essential Serum and the Aromessence Neroli Essential Night Balm. Serum Review -- I have long been a fan of facial oils. My first experience with them was when I was a Clarins Counter Manager right after college. I remember that I was not quite 22 and had fairly oily skin. When our visiting exec recommended I try the Lotus Treatment Oil, I was scared. Using an oil on my skin went against everything I had previously been taught. That oil turned my skin around, though, and I was forever convinced that oils can benefit even the oiliest of skin types. I used to use oils at night. This one says to use in the morning and even I was skeptical about this. What if my makeup slid off? What if it had my looking like an oil slick? This facial oil serum absorbs very quickly into the skin and does not leave an oily film or residue behind. I have never had luck with an oil before my makeup, but this one is different. It really leaves my skin feeling soft and hydrated without any unpleasant greasiness. Did I mention the ingredients? They are really top-notch and beneficial to the skin. 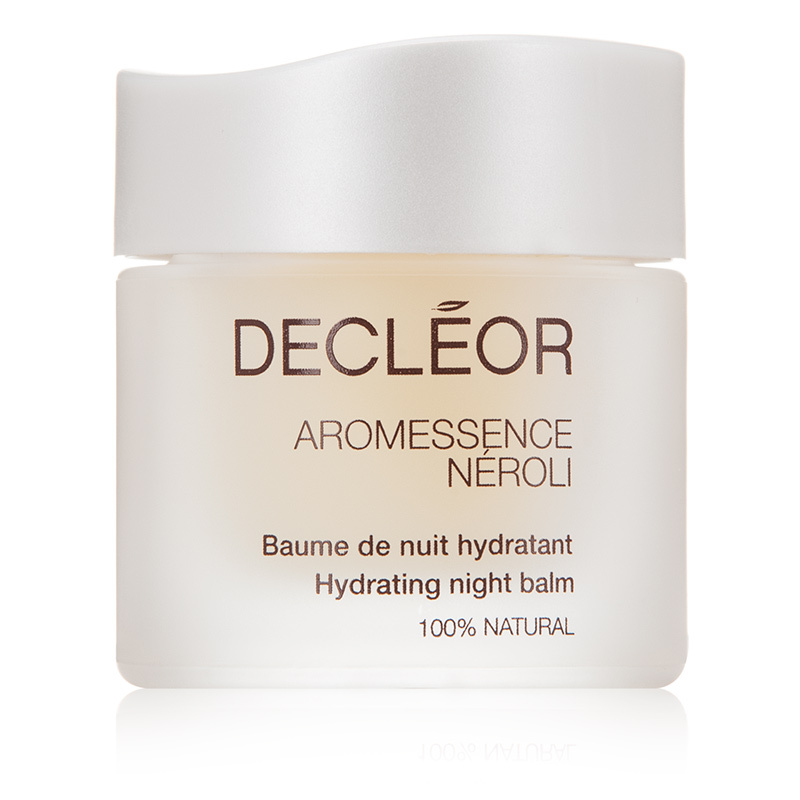 Night Balm Review -- This is my most favorite product from Decleor. It was the first one that I tried. Let me share my experience. I started using this when my mother was recovering from hip surgery and I was traveling back and forth. My husband was on a business trip in Dallas and the dog had a tummy bug. At the same time, we accepted an offer on our house and had to find another. I was SO stressed, sleeping less than two hours a night, and felt like I was barely functioning. My skin was DULL and I looked as tired as I felt. I started using the balm on a Wednesday night. I remember -- it felt so wonderful on the skin, immediately quenching the dryness. The dog got me up every hour to take him out and I remember looking at myself in the bathroom mirror around 3:30. My skin was glowing and looked so refreshed. The results from the balm appeared quickly. Over time, I have seen a softening of those coupe pesky fine lines that have crept in. My skin tone is even. It is healthy looking. The trick with this gem of a product? Only add a TINY amount to your fingertip -- I mean less than a size of a pea. Then massage between your finger tips and gently massage into the skin. Corylus Avellana (Hazel) Seed Oil, Beeswax (Cera Alba), Persea Gratissima (Avocado) Oil, Copernicia Cerifera (Carnauba) Wax , Ocimum Basilicum (Basil) Oil, Citrus Aurantium Amara (Bitter Orange) Neroli Oil, Anthemis Nobilis Flower Oil, Dipteryx Odorata Seed Extract, Tocopherol, Coumarin, Farnesol, Geraniol, D-Limonene, Benzyl Benzoate, Eugenol, Linalool. You do not often see this one in skincare. What is Corylus avellana? It's common name is European hazel or hazelnut oil and it really is splendid for the skin. It is the #1 ingredient in both of these products. So what are the benefits, exactly? Neroli is very special. This essential oil is also very expensive. Why? 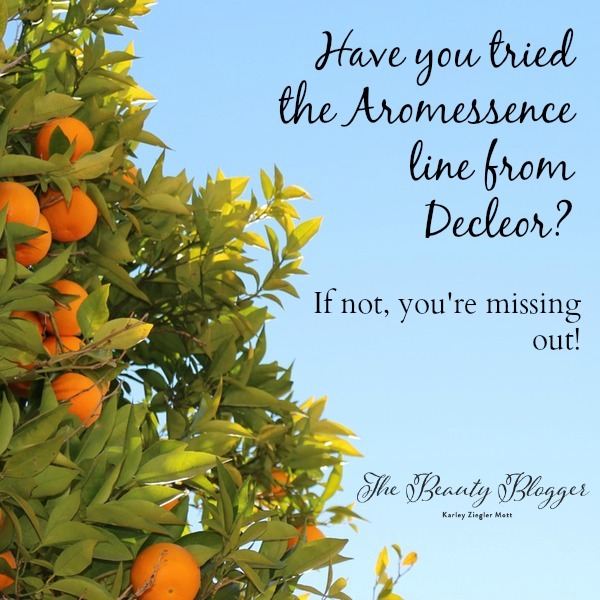 To yield just one pound of the oil, you need at least one thousand pounds of orange blossoms! Neroli comes is distilled from the flowers of the bitter orange tree. It has myriad skincare benefits. Decleor is a luxurious brand of HIGH QUALITY, effective skincare. It reminds me of a combination of three lines: Tata Harper, Clarins and Suki. In many ways, it marries those three into one ideal collection. I didn't think I would find myself changing things up so much, but I am so grateful that I gave the products a chance, as they are truly exquisite. 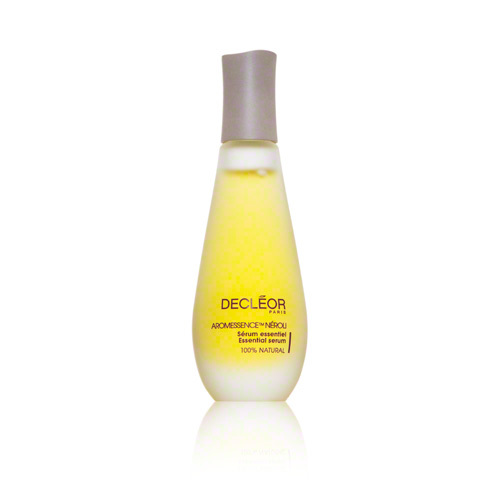 For more details, visit http://www.decleorusa.com/.